What does a Merle Norman Cosmetics Franchise Cost? Looking for a Colorful Future? Imagine helping others look and feel beautiful by selling prestige skin care and cosmetics in your very own retail business. If you’ve got a passion for beauty and fashion, owning a Merle Norman franchise enables you to make money while making a positive impact on people’s lives. 85 Years and Still Going Strong! The Depression Era didn’t stop an enterprising young Merle Norman from creating her own beauty products and selling them with the “try before you buy” philosophy she pioneered. Before long she was empowering women to be independent business owners as they sold her linen in their privately owned Studios. This tradition carries on today with the Merle Norman franchise system. Merle Norman Cosmetics manufactures products that are tested and proven to perform. 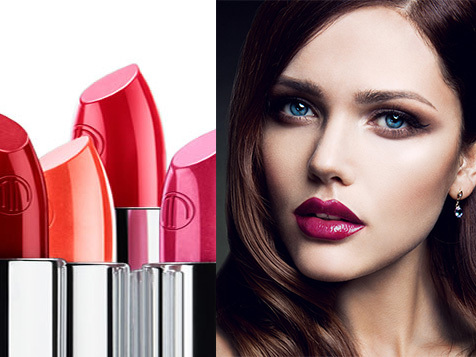 From the traditional to the trendy – there’s something to meet every woman’s beauty needs. No wonder Merle Norman franchise owners retain their customers an average of 14 years! Aside from costs for the initial investment, you’ll be surprised at what you don’t pay. Choose to open a brand new Merle Norman location or check out our existing franchises for sale. Whether you’re interested in a mall, strip center, freestanding location or store-within-a-store, we’ll help tailor a plan to suit your needs and budget. Our Franchise Consultants can help select the plan that’s best for you. Not a makeup expert? Not a merchandising or advertising pro? Not a problem! Merle Norman has the experts to support you every step of the way – not just at start up, but ongoing. And if you ever need help, we’re just a phone call away. No matter what state the economy is in, women always treat themselves to makeup. It’s true! Women spend billions of dollars on beauty products annually! Join this lucrative industry and start living your dream today! Find out how YOU can be part of the Merle Norman success story.